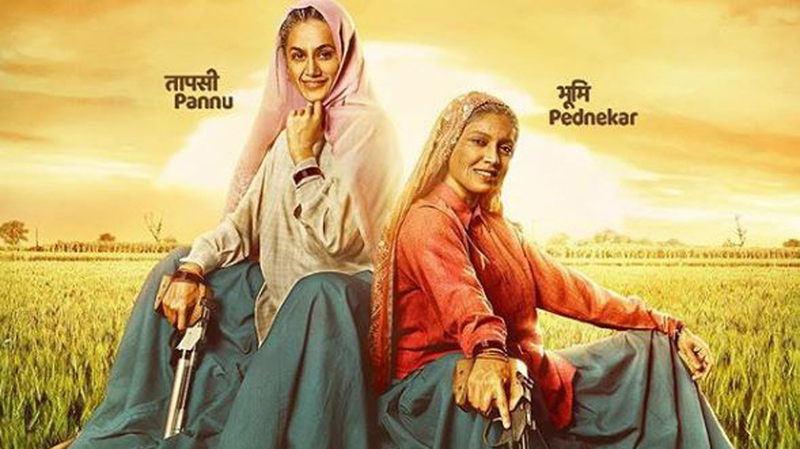 Taapsee Pannu and Bhumi Pednekar are hitting the Bull’s Eye as Shooter Daadis in the first look of Saand Ki Aankh. Yesterday we shared with you Salman’s old man look from Bharat. Now we are here with the females of Bollywood donning the similar old look and proving that saying right, that age is just a number if you have it in you. 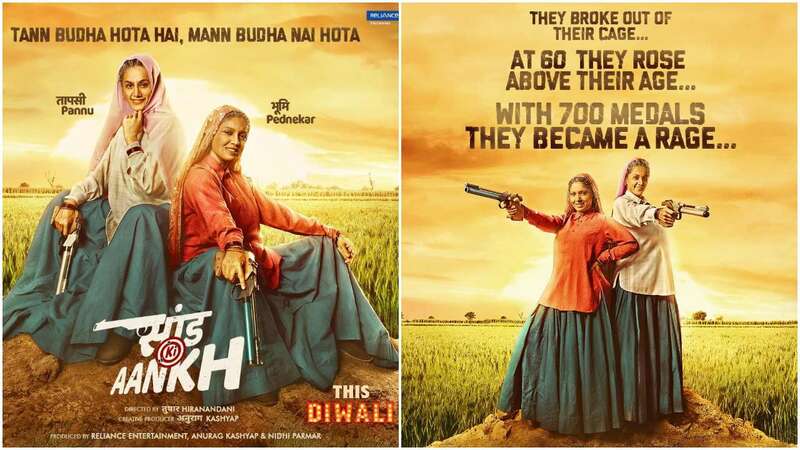 Today morning, the makers of ‘Saand Ki Aankh’ went public with its first official posters. 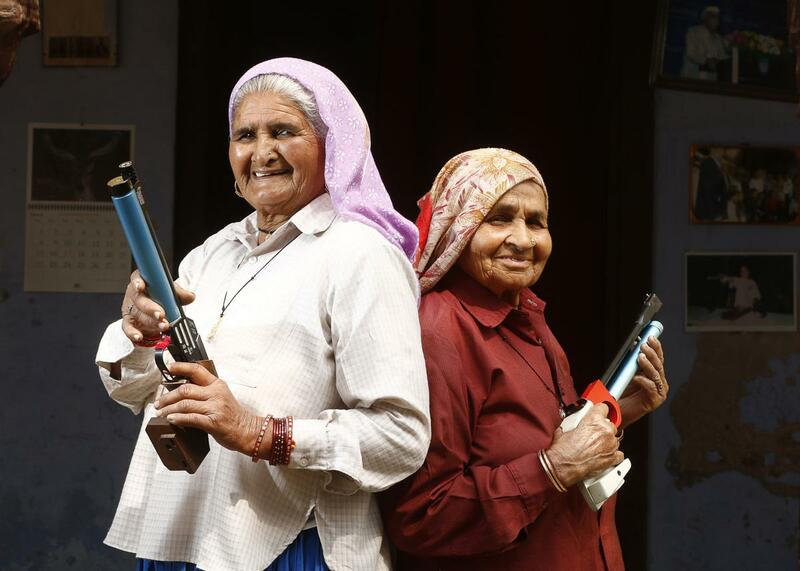 It has Taapsee Pannu and Bhumi Pednekar holding guns with an above 60 look. But that is not a hindrance and we promise you that you will be left a lot impressed for sure. While the film was under final production stages, it had a couple of issues of its own to deal with. These issues aroused because of the film’s title rights being held by Pritish Nandy, whose demand was an exorbitant 1 Crore INR for relinquishing these title rights. As a result, film had to be renamed: ‘Saand Ki Aankh’. The movie is a Tushar Hiranandani’s directorial debut. It will be competing with Akshay Kumar’s multi-starrer Housefull 4 at the Box-office.